Local offshore fishing ended on a high note in 2017, actually epic fishing, and the start of 2018 is no different. 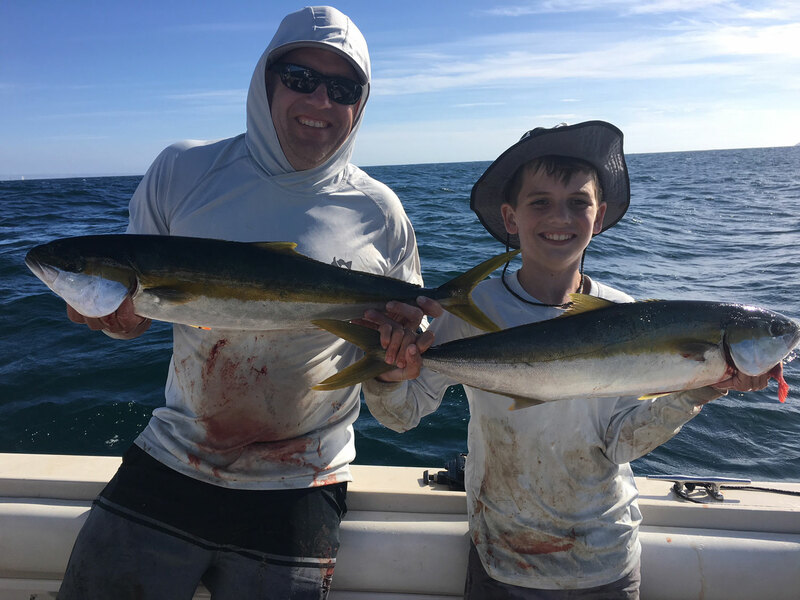 From yellowtail just off Point Loma and the Coronado Islands to the bluefin – its all happening in January. “Wow” is the word. The rockcod fishery is closed in California waters until February 28th, but the Coronado Islands (in Mexican waters) is wide open on rockfish, as well as yellowtail, big bonito and nice sized calico bass. There is really good yellowtail fishing close to Point Loma, pretty much wide open fishing in the mornings. We have been smashing limits of yellowtail out there along with good numbers of sand bass. The weather has been cooperating in a big way. Rockfish at the Islands are coming on squid strips fished in 170-300′ of water. The yellowtail we’re getting on slow-trolled Rapalas, fly-lined sardines, and yo-yoing irons in 80-130′ of water. Surface temps have been in the 59-62° range with flat-calm seas. My boats are all prepped and ready to take you on the charter of your choice!